We all love chocolate chip... but where did it come from? 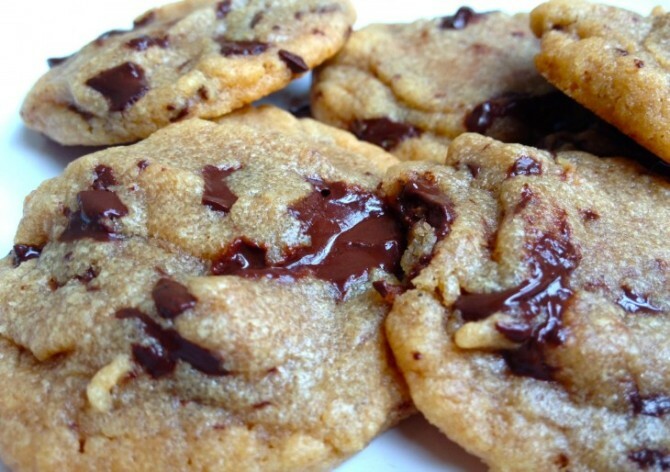 Just picture it — coming home from a long day of classes and opening the door to the smell of fresh baked chocolate chip cookies wafting through the room. Heaven, right? But, you may ask, who should you credit for creating the warm, gooey, perfect chocolate chip cookie? What about all of your favorite cookies? Well, luckily for you, here’s a brief history of all of your favorite cookies. As it turns out, Ruth Wakefield, owner of the Toll House restaurant, invented the chocolate chip cookie in the 1930s. Though there are some discrepancies on the story, many believe that she ran out of baker’s chocolate or nuts for her cookies and proceeded to use chopped semi-sweet chocolate instead. However, according to The Great American Chocolate Chip Cookie Book, Wakefield would never have run out of nuts or chocolate (she did run a restaurant after all), so the chocolate chip cookie must have been born out of Wakefield’s pure baking genius. No matter how Wakefield came up with the chocolate chip cookie, we’re all so glad that she did. In fact, her home state of Massachusetts is so glad that they made chocolate chip cookies their state cookie. For a more extensive history, check out this article. Keep a look out for National Chocolate Chip Cookie Day on May 15, and make your own classic chocolate chip cookies with a twist with this recipe for bacon chocolate chip cookies. As it turns out, President James Buchanan is speculated to have had a soft spot for these cinnamon sugar cookies. 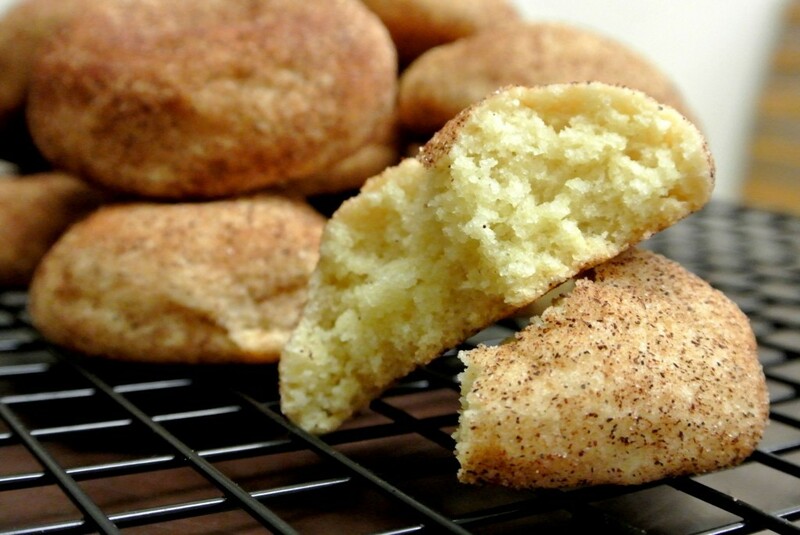 Another fun fact: snickerdoodles are the state cookie of Connecticut, and you can make your own using this recipe. 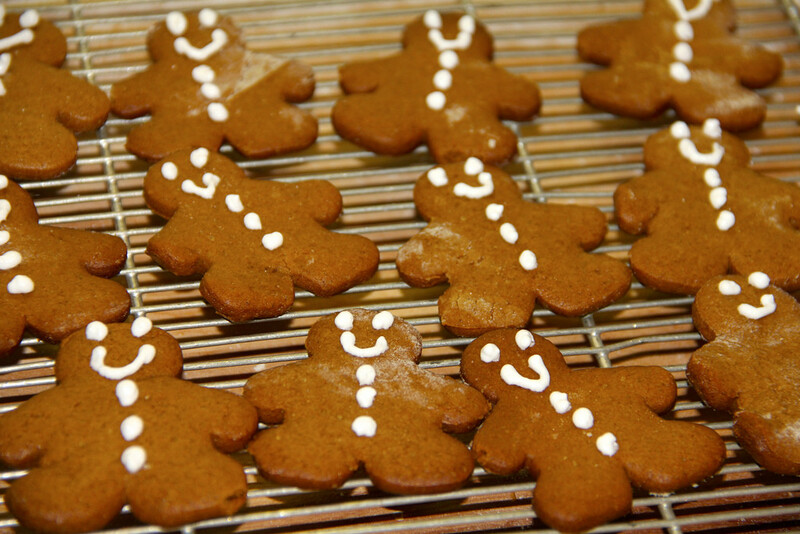 The origins of gingerbread are also mysterious, though according to Steven Stellingwerf, author of The Gingerbread Book, it may have been brought to Western Europe by crusaders in the eleventh century, because the ginger root has its origins in Asia, specifically China. The cookies often made appearances at medieval European fairs, soon adopting the name “fairings.” Gingerbread houses, interestingly enough, have their origins in Germany, commonly recognized in the Brothers Grimm fairytale Hansel and Gretel. George Washington’s mother, Mary Ball Washington, even had her own special recipe for gingerbread (in a cake form), which can be found here. Shortbread has its origins in Scotland, where “biscuit bread” was made by drying any leftover bread dough in medieval times. Eventually, the yeast was replaced with butter to create the flaky cookie we all know and love. Mary, Queen of Scots, is known to have enjoyed shortbread made with caraway seeds, and the creation of shortbread is often attributed to her and her team of French chefs. Want to make your own shortbread worthy of Queen Mary’s royal kitchen? 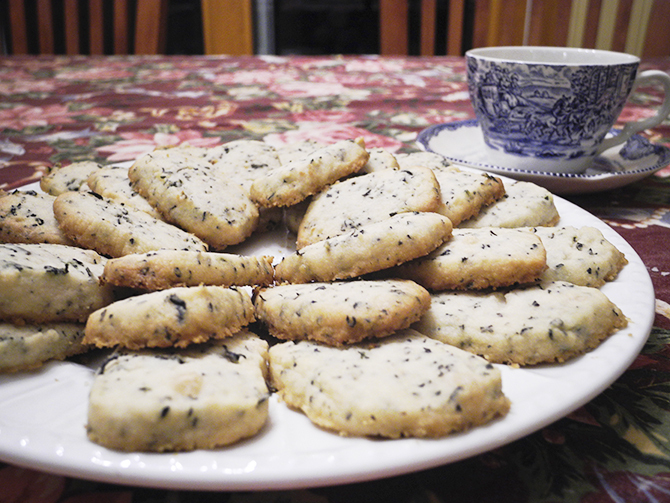 Check out this recipe for Earl Grey shortbread. 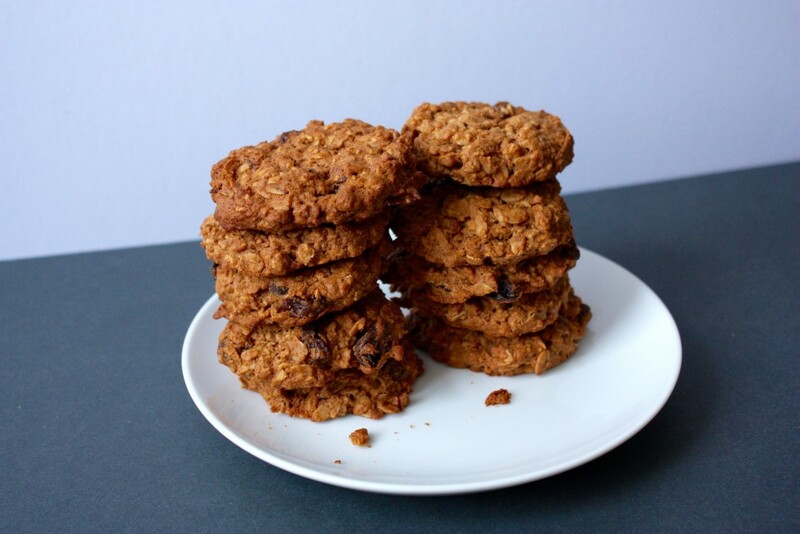 A popular theory for the origin of oatmeal raisin cookies is that they descended from Scottish/British oat cakes. In wartimes, soldiers would carry oat cakes to battle with them for boosts of energy during battle. The first recipe for these babies was written by Fannie Merritt Farmer in 1896. Oatmeal raisin cookies are also often considered a “health food,” especially good for a healthy treat. To make your own healthy treat, check out this recipe for gluten-free, vegan oatmeal raisin cookies. Craving your own peanut butter cookies? 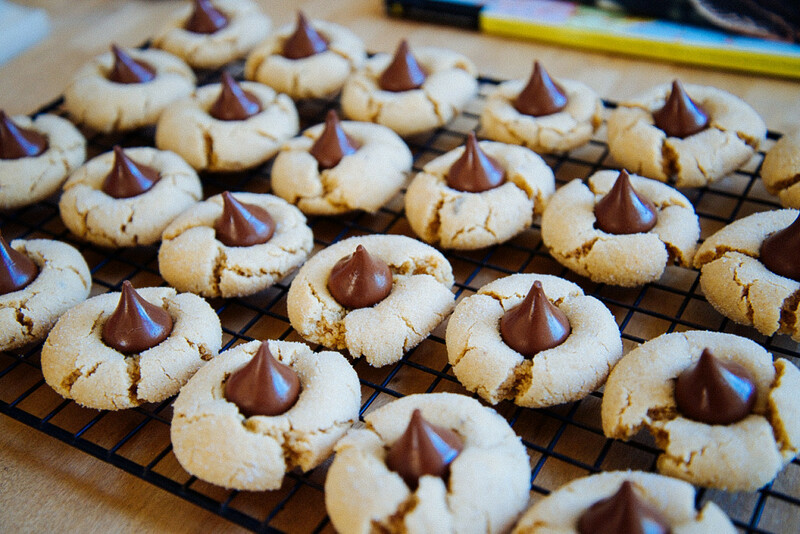 Check out this recipe for peanut butter kiss cookies. Historically, the precursor to sugar cookies were found in Medieval Arab cuisine, where natives made sugar cakes that were adopted by Europeans. Modern American sugar cookies can be traced back to Nazareth, Pennsylvania in the 1700s, created by the German Protestant settlers—they are also (not so often) called Nazareth sugar cookies or Amish sugar cookies. The tradition of making, molding, and frosting sugar cookies for various holidays manifested and turned sugar cookies into the versatile cookie we all know and love today. 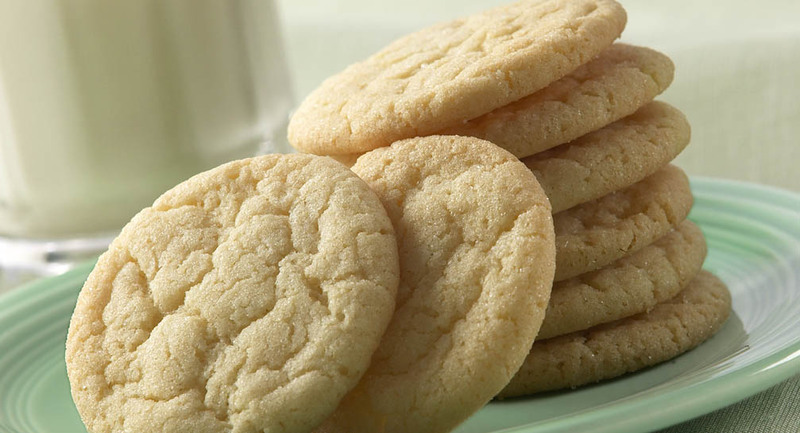 Make your own gluten-free sugar cookies using this easy recipe.